CBD was removed from the list of Schedule I narcotics by the U.S. Drug Enforcement Administration just prior to the passage of the 2018 Farm Bill, which thereafter removed the drug from the list of scheduled drugs entirely. Still, it’s the position of the U.S. Food & Drug Administration that CBD-laced food products sold into the food supply are illegal, per the federal Food, Drug & Cosmetic Act, the original version of which was passed in 1938. That law makes it illegal to sell a prohibited active ingredient in foods or supplements slated for sale across state lines. However, the FDA has approved a CBD-laced seizure medication called Epidiolox to be treated for a rare form of seizures. The outgoing FDA commissioner told Congressional leaders last month that the agency may consider allowing the use of CBD compound in some foods if it was diluted. That’s not expected to open the doors overnight. An FDA public hearing on cannabis compounds – including CBD – is slated for May. It’s meant to be an informational conquest, but is unlikely to result in any final decisions pertaining to the law. More recently, Los Angeles CBD lawyers were made aware that the California legislature amended AB 228, the state’s position on CBD in food, beverage and cosmetic markets. This didn’t entirely green-light CBD for use in food products, but the amendments might eventually open the doors to the manufacture of such products, if they contain hemp-derived CBD (as opposed to cannabis-derived CBD) and are licensed within the cannabis chain. Lawmakers in several states and cities are carving out their own rules. In Colorado, for instance, lawmakers last year expressly allowed any part of a hemp plant to be used for infusion in foods for sale. California, Maine and New York City, however, back the FDA stance that CBD is not to be sold as an additive in food. The majority of states, however, refuse to allow any CBD to the general public. Others only allow it to be distributed with a doctor’s prescription. 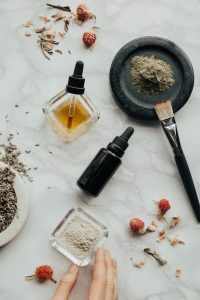 The initial text of AB-228 would have indicated food, drinks and cosmetics wouldn’t be considered “adulterated” with the inclusion of hemp-derived CBD. The revised version of the bill would indicate this but also that foods and drinks containing CBD hemp are safe for consumption by both humans and animals.